From patio covers to carports, we at Roark Aluminum love providing different options to add functional style and a surprising bump in value to your home. Whether you’re looking to protect your cars from inclement weather, for a place to keep your tools or just a covering over your patio so you can sit and enjoy your neighborhood in the shade, our product partners have an impressive list of options that will put the final touches on the home of your dreams. 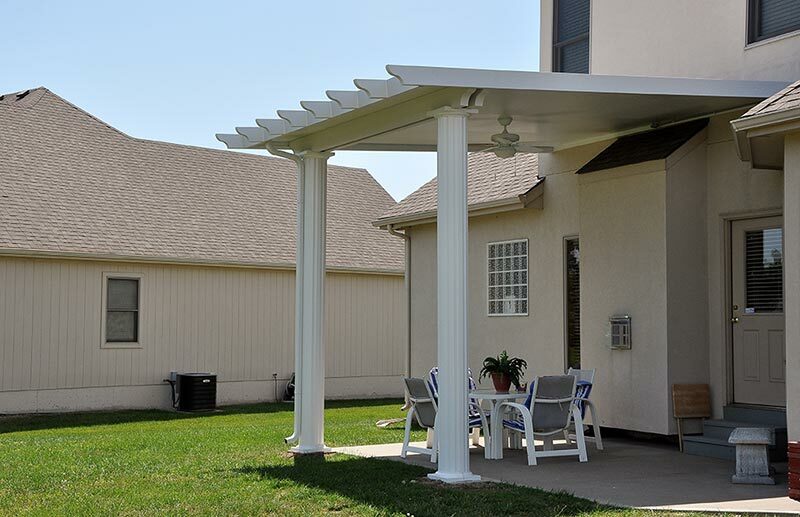 At Roark Aluminum, our coverings, awnings, and sun porches make it easier for you to enjoy your outdoor living space. Our coverings will extend your home into the outdoors so you can enjoy the seasons by protecting yourself from the summer heat and keeping you warm on chilly fall evenings. Our covering options can bring down your energy bills by keeping the temperature down. ● Sun porches add beautiful openness to your space, while allowing you to enjoy the view year round. ● Awnings block sun from your home’s windows or beautify the exterior of your business. ● Carports protect your car from the elements and are space saving alternatives to a garage.